Not all wreaths have to be circular. 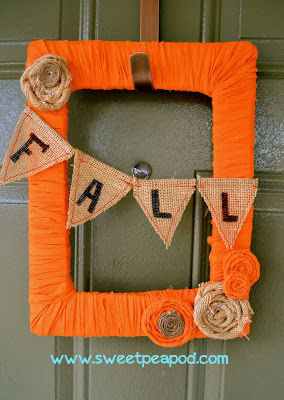 Check out this unique, rectangular, fall wreath. I love it! This wreath is perfect for those who are trying to watch their spending, but still want to decorate for the holidays. There are only four supplies needed to complete this project! For a full tutorial on how to put this together, visit Sweet Pea Pod. Make sure to check out her Etsy store!